High Park provides a remarkable enclave of natural habitat within the city of Toronto. It holds fascination at any season. In winter the forest canopy opens up, allowing a closer inspection of landscape contours, the structure of trees and easier observation of birds and other wildlife. Birds and squirrels, used to being fed, are relatively tame. I photographed this white-breated nuthatch several springs ago, but it is one of many species to be found there throughout the year. Northern cardinals are easy to observe and can be heard singing in midwinter, a heartening sound on a cold day. 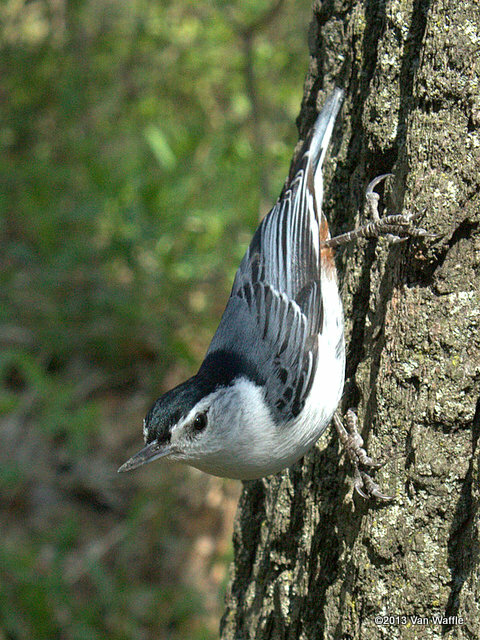 The park’s location along the Lake Ontario shoreline also attracts numerous spring and fall migrants. Ontario Field Ornithologists website offers a guide to favourite birding hotspots in the park, by Bob Yukich. Besides extensive gardens, allotment gardens and a small zoo, about one-third of High Park’s 161 hectares is kept in a natural state. Fallen trees are left alone for the benefit of woodpeckers and other wildlife. About 44 hectares is dedicated to black oak savannah, considered significant because of its size and location at the northereastern limit of the biome (this type extends down the eastern edge of the American Great Plains). The habitat is maintained by periodic controlled burns to encourage its peculiar plant species. Numerous rarities are found here, particularly species associated with prairie edges, such as wild lupine. High Park is easy to reach from downtown Toronto. Take Bloor subway line west to High Park station. Parking is free and readily available in winter. 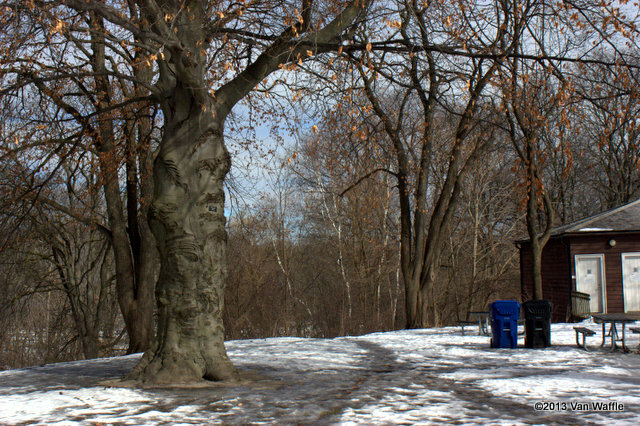 Another interesting urban park to visit in winter is Cootes Paradise in Hamilton, Ontario. Parks are a city’s blessing. I agree. City parks have been a great solace and inspiration to me over the years.